On the surface, Windows 10 appears to backtrack from some of Windows 8’s more contentious design elements by reintroducing the Start menu, ditching the Start screen, and dropping Windows Apps into proper desktop windows rather than blooming them into the full-screen monstrosities that they used to be. That’s all well and good for PC users, but what does it mean for the legions of folks who bought into Windows 8’s finger-friendly vision and purchased Windows tablets, 2-in-1s, or touchscreen laptops? Continuum dynamically adjusts Windows 10’s UI elements depending on how you’re actively using your device, building on the device adaptation built into Windows 8.1’s spring update. While you’re rocking a keyboard and mouse, Windows 10 defaults to the desktop—the Start menu, apps in windows, yadda yadda yadda. 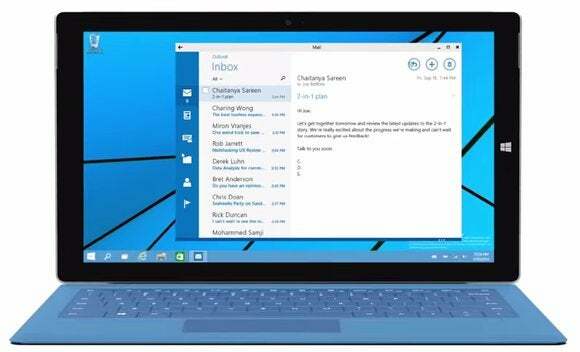 But the second you lay a finger to your touchscreen or rip the keyboard off your hybrid, Windows 10 offers to switch to tablet mode, complete with a Windows 8-esque tiled Start screen and larger, finger-friendlier buttons. When you swap back to the keyboard, Windows 10 will swap back to the desktop. It looks pretty elegant, but alas, Continuum won’t be present in the Windows 10 Technical Preview being released on Wednesday. Microsoft released this “design exploration” video to show how it will work, though. What do you think?